Dr. Hooper is an Assistant Professor with the University of Alabama’s College of Education where she is helping to support their Early Childhood Education program. 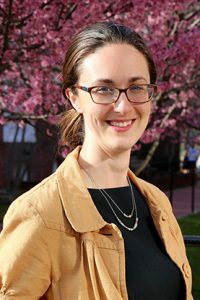 As a Ph.D. student, Dr. Hooper completed extensive research on child care providers for her dissertation titled “Identifying and Exploring Profiles of Home-Based Childcare Providers: A Mixed Methods Study of Licensed and Unlicensed Providers.” Dr. Hooper completed her dissertation research with support from an Administration for Children and Families grant. To learn more, visit her student profile page. 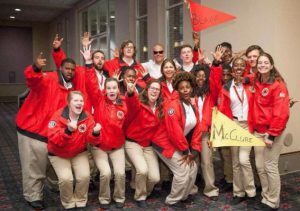 Jessica recently completed a placement with City Year, an Americorps Program, putting her education and skills to use in Philadelphia. With this opportunity, Jessica worked in a 4th grade bilingual classroom providing her with real world, direct service experience. Jessica completed her 400-hour internship during her senior year at the Ronald McDonald House of Delaware, where she continued to devote many hours serving as a Relief Manager after graduation. As of fall 2017, Jessica is beginning a master’s of social work program at the University of Maryland. As a human services student, Michelle paired her passion and professional experience as a yoga instructor with her academic experiences, utilizing her senior internship as an opportunity to design a yoga curriculum for children at the Laboratory School at UD. 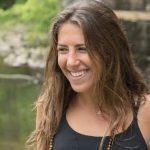 As an alumna, Michelle is currently pursuing a graduate degree at Rutgers University, and is also continuing her work as a yoga instructor as a method of improving the lives and health of individuals and communities. Latiaynna Tabb founded Tabb Management, a community relations firm that contracts and consults with mission driven organizations to strengthen their relationships with target audiences. Using her background in social sciences, Tabb helps organizations develop strategic partnerships that allow for the creation of projects such as the Creative Placemaking development effort in Philadelphia which uses arts and culture to meet community needs.